Business Weblog covering online business, Internet Marketing, Internet Technology, International Trade, Business Consulting, ecommerce, В2В marketplace, etc. This is more like a Business Blog. Rusbiz.com is a B2B portal with features that cover a wide range of online business activities. As the CEO of Rusbiz.com, it is my obligation to be in touch with e-business related issues that concern Rusbiz members. I am planning to write about some of these topics over here. I hope that subjects that personally interest me will not go unattended either. After spending substantial time and efforts the big day came when you finally published your website on the Internet. You are now ready to show your website to the world. But, with over a billion pages vying for traffic how do you make people visiting your site? 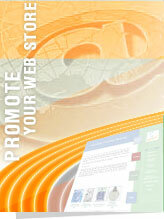 Web promotion is an on going process. There are many methods of promoting websites, but, the first and foremost step that you have to take to generate traffic for your website is to submit your site to major search engines and directories. For most of the sites search engines are the primary source of first time visitors. How important are the search engines? Data show that more than 80% of Internet users find the sites they’re looking for through search engines. Over 57% of Internet users search the Internet everyday. Up to 450 Million searches take place in a day and most interestingly, 55% of all Internet purchases originate at a search engine. Before you start submitting your website to the search engines, you have to understand that you want your prospective audience to find you when they search for a site similar to you using specific keywords. Now, you know that when a person runs a query on a search engine for a website, usually he looks no further then first three pages of relevant results. You have to figure out a way how to get within those three pages. Better even if you can get yourself within top ten search results. Considering that a query usually delivers millions of pages — this is not an easy task! As the search engines want to deliver most relevant pages at the top, they use highly sophisticated and complex algorithms to rank websites. But the main aspects, that they consider in order to optimize your ranking position, are your targeted keywords, relevancy of the site contents and value of the links that are pointing to your site. Target the wrong keywords and either you don’t get any visitor or you get the visitors that you really don’t need. How can you figure out which are the right keywords for you? If you are confused about the words that you should target to get the best result, start your search from one of your successful competitors’ website. Check the source codes of the Index page of the website. It should not be difficult for you to figure out what are the keywords that they are targeting. Since a broad keyword like computer, textile etc. generates millions of search results, you have to try to find words as specific and as segmented as possible. For example: if you are a textile company that sells fabrics and one of the best selling items of yours is jeans fabrics let’s see what should be your targeted keyword. A query on Google shows that the word “fabric” brings 5,640,000 results. Way too much for you to even try get at the top! The next search of “jeans fabric” gets 148,000 results. Still a lot! If stonewashed jeans fabric is one of the items that you sell, let’s see what we get from a query on it. Just 602 results! Well, this is a number you can deal with! Now if you use a few proper optimization mechanisms, chances are there that in no times you may get yourself on the first ten of this search result. If you know the broad keywords that you should target but don’t have any idea how to make it more specific, use this little tool from Overture to show you what queries people make relevant to this keyword. Click here for the tool. For search engines the page title is the most important part of the page. Make sure that you use your targeted keyword over there. For the previous example your title may look like: ‘Supplier of Quality Stonewashed Jeans Fabric’. Use your keywords in different forms in Meta tags and Description. Use singular and plural variations of the words. Since search engines also look at the content of your page, try using keywords in your headlines and don’t forget to mention them in the first paragraph of the page. But do not over do it! If the search engines feel that you are over using a word to lift your ranking, they may consider it as spamming, and block your website from their listing. According to research, the primary reason for people to be on the Internet is information. People want information, quality information, lots of it and in most of the cases for free! This is the reason why the search engine spiders are created to look for good, relevant textual contents. If you are looking for a top position on a specific search, your website must have quality relevant content. If yours is a website that only sells product or services, you may ask, how can you possibly have enough content? Apart from detail description of the products or services that you provide, you should also emphasize on the benefits of the products. If you have related to your products articles, whitepapers etc. you must post them on your site as well. It’s important to post quality information related to your products or services as this also position your website as a knowledgeable leader in your respective industry and create interest among your audience to revisit the site. Try renewing information on your site on a regular interval. This, as well, will increase repeat visits from people and the search engine spiders. Once you are ready to submit your site to search engines, all you have to do is to go to the relevant search engine site, fill up the form there and submit. You can do it manually for each search engine separately or you can use programs to do it automatically. If you miss a search engine, you don’t have to worry about it much, as the search engine spiders or “Bots”, as they are also called, constantly look for new websites to index. However, it’s a good idea to submit to the major search engines and directories regularly. You should also resubmit your website to the search engines in order to expedite the process of indexing after each significant change you made to the site. Internet has opened a new era of business opportunities. Each day, thousands of new consumers are joining the Internet. More and more companies are adopting Internet as their primary sales and distribution channel. According to Forrester Research -The survey of 130 U.S. companies indicates consumers spent $76 billion shopping on-line in 2002. This represents a 48 percent increase over 2001, and projections for 2003 come close to $100 billion, representing 4.5 percent of total retail sales. As a business you probably understand that in order to stay competitive you must integrate ecommerce to your present business strategy. A little research will show you that there is an extensive array of technology and solutions for enterprise and web store building available in the market. You also perceive that ecommerce sites can cost you from a mere couple of hundred bucks to hundreds of thousand of dollars. How to choose something from so many options that will exactly fit your present need? Although, this might look like a daunting task, a little preparation will definitely help you taking the right decision in your quest for an appropriate ecommerce solution. To understand your requirement better and create a proper ecommerce strategy, you have to ask yourself a number of questions. Below I jotted down some of the questions that, hopefully, will spur your imagination. If building an ecommerce site from scratch feels too overwhelming to you and you are a small business, my suggestion is - to build a web store with one of the providers similar to Yahoo, Bigstep, Rusbiz etc. The web stores that you can build directly on the Internet have all the necessary features like shopping cart, product catalog and payment gateway as any regular ecommerce site. In most of the cases, you construct web store online from templates and easy-to-use editor and you hardly need to know html or other script languages. The benefits of using a web store that you can build online are enormous. Quick to build: If you have all the materials handy, you can build a web store within a day. Easy in use: You don’t have to be a rocket scientist to build a fully functional ecommerce site. Step by step procedures of making pages from templates allow anybody to create a professionally looking web store in no time. Affordable: Although, some of the providers charge commissions on your sales, as Yahoo does, in most of the cases your expenses are less than US$ 100 a month to have a good web store. The only disadvantage you have with this kind of web stores is you might not be able to give the customized look and feel to the site as you intend to. Then again, once you start generating enough sales through your web store, if you must, you can always build an ecommerce site by hiring web design companies. If you are still hesitant in starting online business using web stores I would suggest you to read the following eventual benefits that you may have from ecommerce. If you are a brick and mortar company, online commerce will definitely increase your sales and with it profits. Today, even small companies understand the importance of having a website. Planned, sophisticated and professional website creates positive image of the company and help building brand name. If required features are available on the website practically all business processes are possible to carry out on the Internet, which allows you to reduce overhead costs, costs incurred due to documentary mistakes, document processing costs, etc. Frequently Asked Questions pages, forums, Internal Messaging Service, chat lines, etc. all these features help you effectively running your customer service. By joining e-marketplaces and B2B exchanges you can significantly increase the number of sales channels available to you. If you automate supply chain processes through Internet, you will be able to shorten the entire cycle from months to days. You will be even able to eliminate certain phases of your supply chain process. There are numerous ways of getting traffics on your site and popularize your products. In fact, you can get more people in your web store than it is physically possible to accommodate in a bricks-and-mortar shop. On the Internet you may successfully compete with the behemoths of your industry and even curve market shares out of them. Normally, starting a brick and mortar business requires significant cost involvement. On the Internet - opposite is true! To start a business online you hardly need any major investment. As you know, many businesses in real world are tightly controlled by certain groups. On the internet there is no such barrier! Anybody can start any business of his choice. By adopting Internet as a sales channel you do not loose anything as your web store only complements existing sales conduit. If you are new to ecommerce world, I would advise you to go slow! First create a plan with long term and short term objectives. Try implementing your plan gradually. Make sure that you do not spend too much money on your initial ecommerce project. Remember! Over 80 percent of all software projects do not finish in time within the budget; and do not work as planned! Copyright© 2002-2005. ZAO Sozvezdie Nakosy. All Rights Reserved.